Enphase is offering a different solar battery than most. This unique storage solution is a Lithium Iron Phosphate battery, unlike most solar batteries which are Lithium Ion. This battery also has a few other unique features such as a reasonable price point, and easy installation. So, what separates this battery from the rest? WHAT IS LITHIUM IRON PHOSPHATE? This type of battery is known for having the longest Cycle Life of solar batteries. The Cycle Life is the number of times a solar battery can be charged to full capacity and discharged before it reaches the end of its functional life. Lithium Iron Phosphate batteries are clocked at around 10,000 uses, in comparison to a Lithium Ion battery which is typically about 4,000-8,000 uses. The downside to Lithium Iron Phosphate is lower storage capacity which can range anywhere from 1.4-14.8 Kw h.
WHAT ABOUT THE PRICE AND WARRANTY? Enphase is among the most affordable of solar batteries. At just $2,000 per battery, these are a steal compared to an industry average of $7,000. 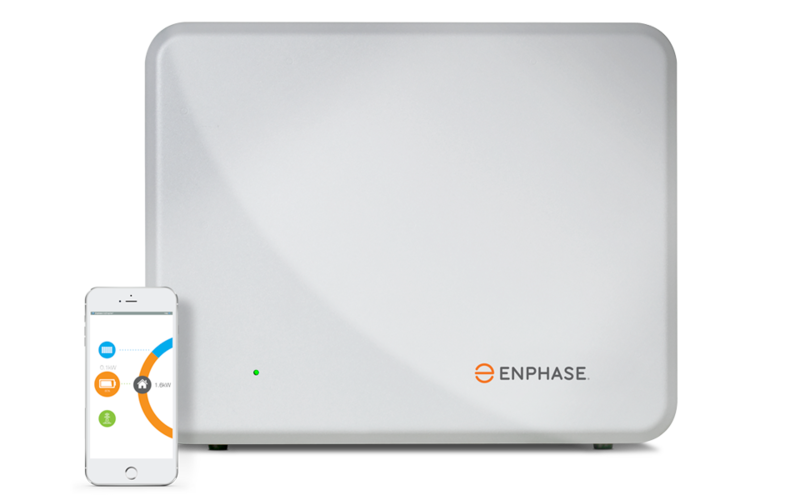 Enphase also boasts as the easiest battery to install. This only takes about 30 minutes for the customer to install themselves, and takes away the added labor cost of installation. The warranty is 10-year, 80%. This means that your battery is guaranteed for 10 years, and can be replaced if the battery loses more than 20% storage capacity in the first 10 years.